We've all read about witches, those pointy hat wearin', broom ridin', spell castin', superlative olfactory organ sportin', child nappin' creepies. 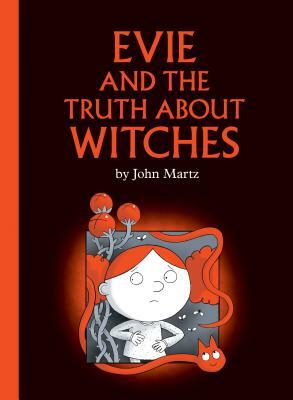 But Evie wants to be scared, and Evie has found out the truth about witches, and she didn't find it in a book. John Martz is a cartoonist and illustrator in Toronto, ON. His book, A Cat Named Tim and Other Stories, was shortlisted for The Governor General's Literary Awards, and it and his book Burt's Way Home were nominated for the Eisner Award for Best Publication for Early Readers.